Franklin is in the heart of Williamson County, just south of Nashville. The suburb is bursting with its own charm and culture. The city was formed in 1799 and has been continually growing ever since. The downtown area has its own unique appeal, even being dubbed “America’s Favorite Main Street.” The city has modern conveniences yet maintains its old-fashioned appeal, especially downtown. Just one visit to this quaint town and you’ll fall in love with Franklin. 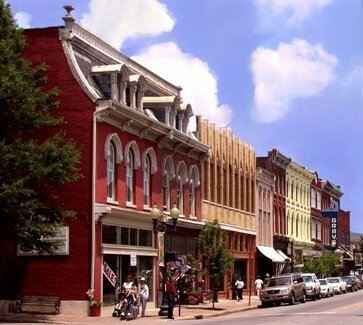 For information on visiting Franklin, Tennessee, please contact our Williamson County Convention and Visitors Bureau at (866) 253-9207 or www.visitwilliamson.com. Click here for the U.S. Census Bureau's fact sheet on the demographic profile of Franklin, TN. Click Here To Search New Construction In Franklin!